Driving the Kahekili Hwy in Maui is by far one of the more daring things we've done while traveling. Not for the faint of heart, this twisting, turning scenic route can be unsafe but the views are worth every heart-pounding minute! Just be sure your car rental agreement allows you to drive the Kahekili Hwy before setting off on your own epic journey. On a bit of a whim, we recently decided to visit Maui after getting an airfare alert from United. We hurriedly planned a 3 night/4 day getaway in paradise after booking our flights, rental car, and lodging. With such a short stay we knew we had to plan our visit strategically if we wanted to see a few sights and have time to relax. 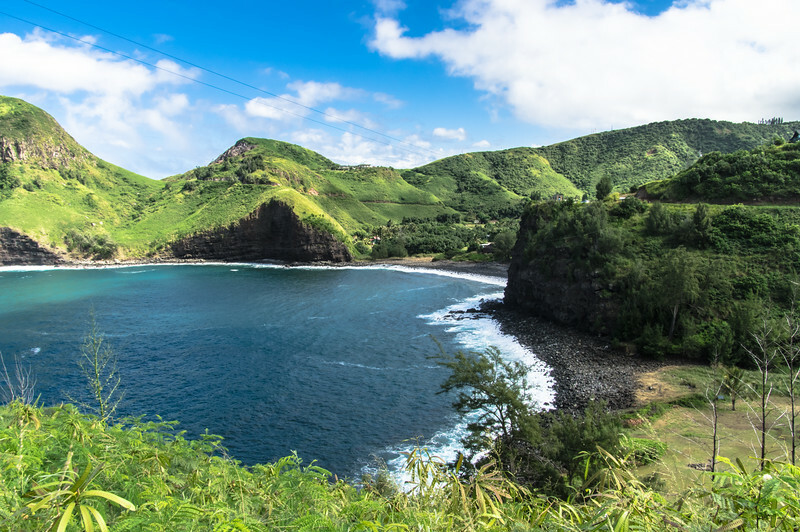 I kept reading about the Road to Hana while researching for our trip to Maui. 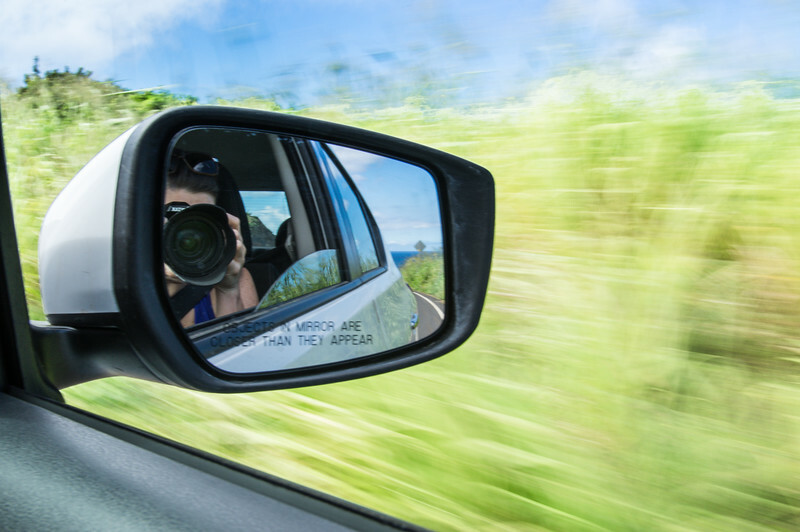 Everyone described the Road to Hana as the ultimate Maui experience. But most people said that the drive and the multiple scenic stops take the greater part of an entire day. As much as we love scenic drives, we simply didn't have the time to spend ALL day cruising the eastern coast of Maui in search of tide pools and show-stopping waterfalls. I was worried that we'd completely miss out on the scenic landscape if we chose to not drive the Road to Hana. 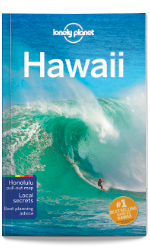 On a stroke of luck, I found some information in our Lonely Planet Guide to Hawaii about another, lesser known, the scenic route that might be able to give us the scenic drive we were craving. The guide described the trip as somewhat dangerous, full of cliff-hugging curves and one-lane passes. After some debate as to who would drive we took the risk and opted to cruise the Kahekili Hwy (Hwy. 340). My trusty guidebook told me that this drive was no joke: hairpin turns, one-lane roads, and epic vistas. My additional research confirmed that we needed to be smart about this drive, so we planned to take our excursion during peak daylight, giving us plenty of time to stop along the way without the threat of getting caught on the Kahekili Hwy after dark. 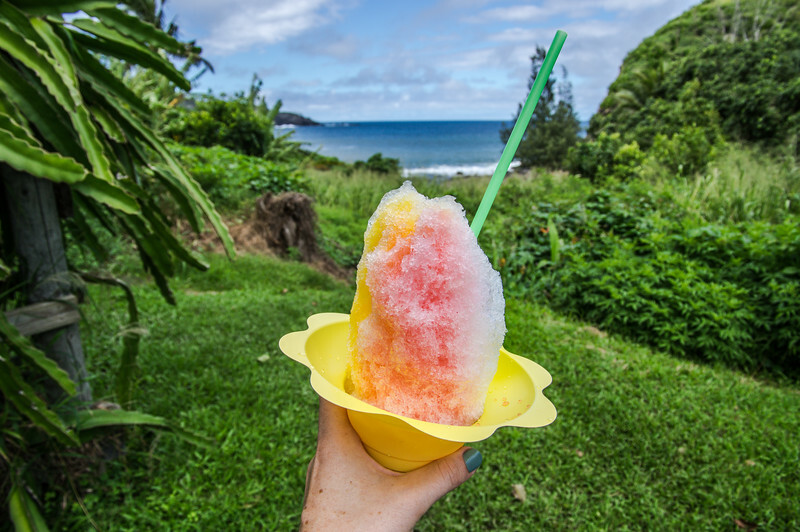 After a quick hike at the Iao Needle and a quick tour of the Bailey House in Wailuku, we set off on our drive, camera in hand in search of the best coastal views (and maybe a shave ice). What we found was a slice of pure paradise served with a jagged edge! We set off from Kahului, the coastal town nearest the main airport in Maui. We were able to easily access the Kahekili Hwy heading northwest from the center of the city. Despite the advice in our guidebook, we decided to drive the route in reverse, heading east to west along the Hwy. Warning: this isn't something you should do if you are wary of cliff-side driving! 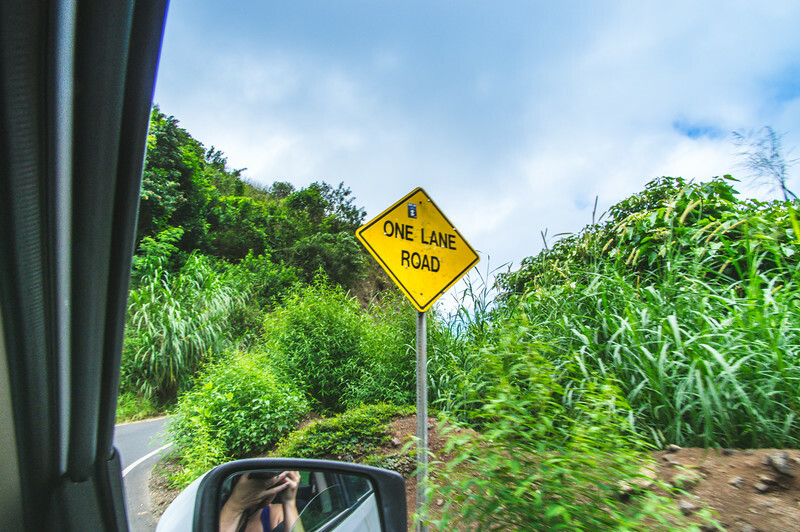 Many sources recommend driving from Kapalua to Kahului so that you are using the inside lane (farthest from the edge). But, by doing so, I had the best view from the passenger seat, essential for some of the shots you see here. Our first stop along the Kahekili Hwy was the Waihee Coastal Dunes and Wildlife Refuge near the local Waiehu Golf Course on Halewaiu Rd. 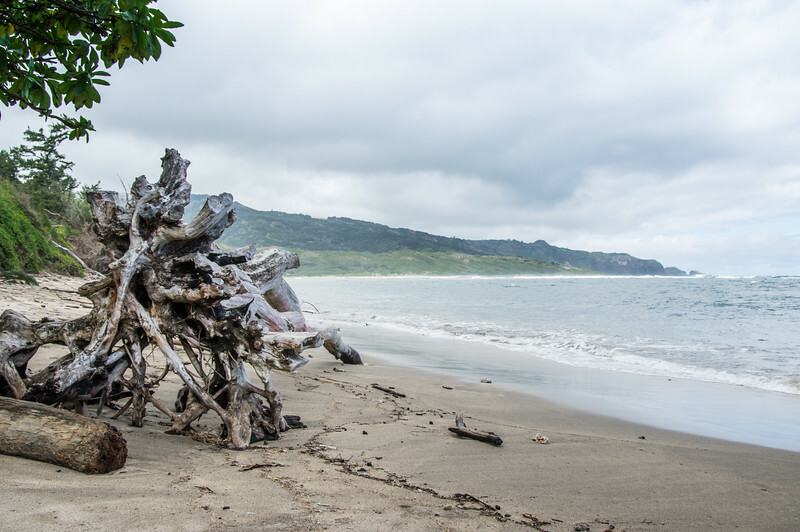 We found the small, private Waihee Beach Park and quickly took a few shots before setting out on our journey. It seemed like a perfect place to set up camp if you're into that sort of thing. Nearby was a locals-only burger joint, Fatt Chicks Burgers, nearby. Described as the "best-kept secret in Maui," this place could be the ideal way to either begin or end your drive, depending which direction you choose to travel. Once we left the Waihee Beach Park it wasn't long before we noticed the Kahekili Hwy narrowed pretty quickly. Before long we started seeing One Way signs. That's the point when we realized we were entering the point of no return. Luckily we were distracted by the changing landscape, especially as compared to the area where we were staying. 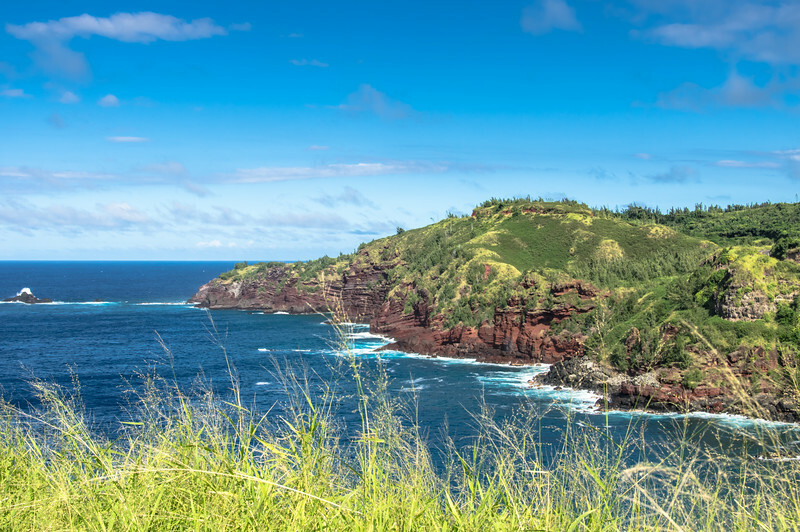 Instead of rolling hills like those around southwest coast of Maui, the northern shore of the island is made up of lush "mountains" with dramatic cliffs in some areas. The changing elevation made for some striking images and spectacular views for both the passenger and the driver. 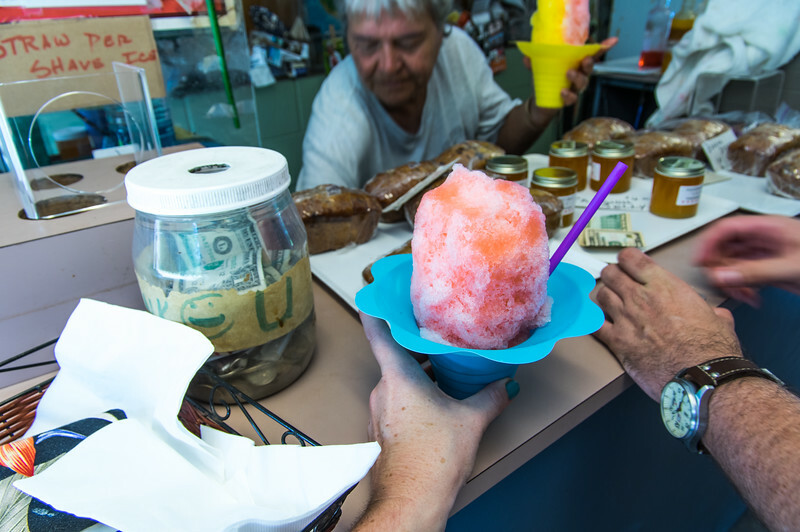 Along the first part of our drive, we saw several signs for fresh fruit, banana bread and shave ice. Still hot after our adventures that morning, so we opted to stop at Lorraine Shave Ice for our favorite Hawaiian treat, Hawaiian Shave Ice. While the shave ice wasn't the best I'd ever had, the setting and the service was second to none. 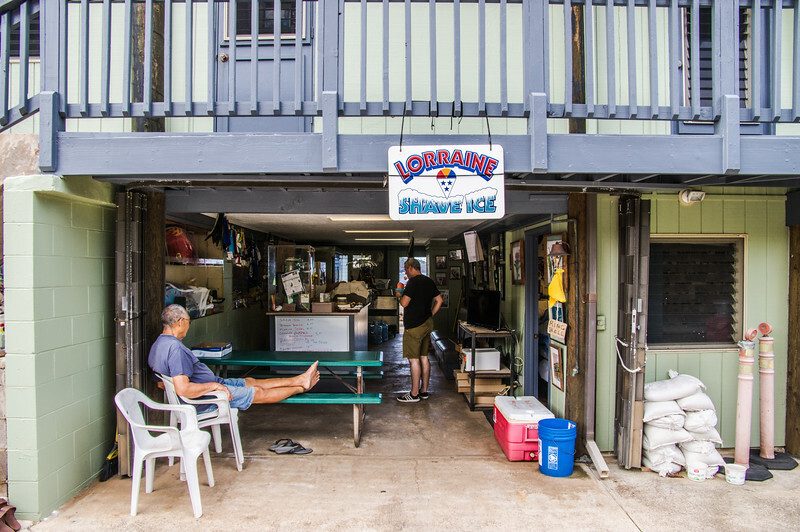 From her home overlooking the ocean, Lorraine has been making shave ice for passers-by for years. Her yard is full of fruit trees and lush vegetation which you can admire from her backyard picnic tables. Satisfied, we set back out onto the Kahekili Hwy to drink in the spectacular sights. 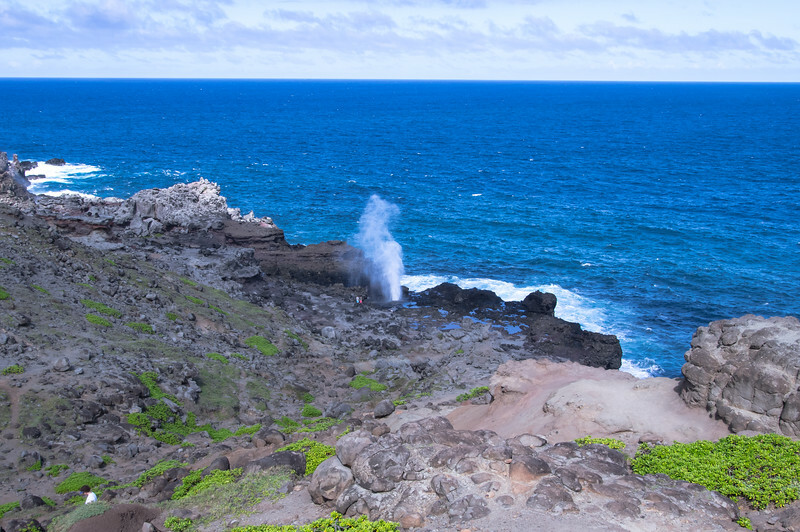 Soon after we came upon the Nakalele Blowhole, a popular tourist attraction. Like us, many tourists stopped to admire the natural attraction. The parking area was clearly marked and easily accessible. After finding a spot to park we ventured down the sloping landscape to watch the water spectacle. With each wave the water climbed higher and higher, showering nearby on-lookers with sea mist. From the parking area above it's a breeze to get down to the Blowhole, but, remember, you explore at your own risk. Have good shoes on hand; flip flops won't cut it! After the blowhole, we set out again in search of more scenic vistas. We stopped several more times along our route to snap images of the stunning scenery. 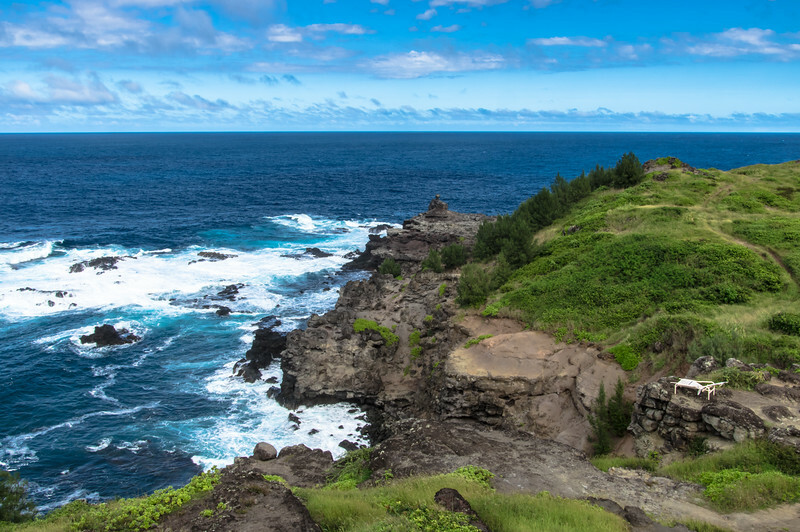 Other sights that we enjoyed along the way were the Olivine Pools, the Mushroom-shaped Rock and Honokohau Bay. No matter where you stop though you can enjoy the beautiful blue ocean juxtaposed by the white foamed waves and lush green landscapes. 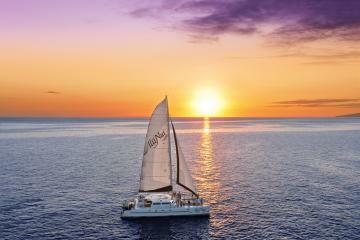 You'll find yourself asking: is the water really that blue? Trust me, it is! We encountered only one hiccup along our drive when we came upon a traffic jam. Two vehicles had come face to face after a cliff-side curve had blinded the car traveling north on the Kahekili Hwy. After two more cars piled up (including us), the pressure was on! One driver was clearly frustrated and beginning to panic. You could tell by the way he was maneuvering his vehicle. After several attempts to backup, a passenger of one of the on-coming vehicles got out to help direct the panicked driver. Once he safely moved his car closer to the inner rock wall, we were finally able to pass. It was scary for us, but I can't even imagine how scary it was to try to backup even if you're in the inner lane! After our brush with...I mean, after our stressful encounter, we needed a minute to unwind. So, we ended our journey at Honolua General Store where we stopped for yet another Hawaiian specialty: spam masubi. We snacked on our masubi and cold drinks on the outdoor patio, rehashing our recent adventure. Located on the grounds of the Ritz-Carlton Kapalua, this little market has it all: groceries, snacks, beer, ice, wine, fresh food and a deli. It's a great place to stop before setting off on your Kahekili Hwy journey to stock up for day hikes. Our trek was worthwhile, and I would highly recommend that anyone visiting Maui to consider driving Kahekili Hwy. I've put together a few tips to help you make the most out of your drive! -Check with your rental car provider to ensure there are no "off-limits" areas in your rental contract. -Rent a small car as larger vehicles could be unsafe and would make it more difficult when faced with oncoming traffic. -Trust only the most confident driver, someone who will not panic when rough terrain or oncoming traffic is encountered. -There are several low-laying areas of the drive with access to hikes and beaches. One highly recommended hike is the coastal path of the Ohai Trail. 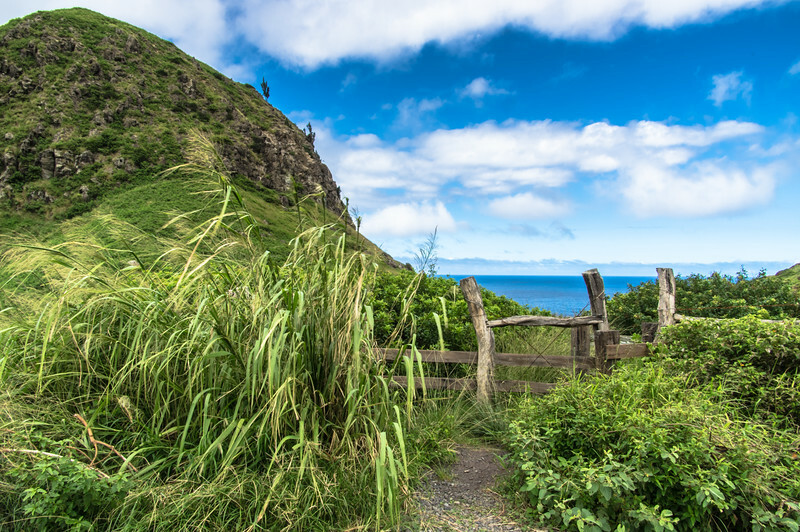 -More adventurous explorers could start or end their drive with a hike along the rugged Waihee Ridge Trail. -Remember to be patient. You're on Maui time! 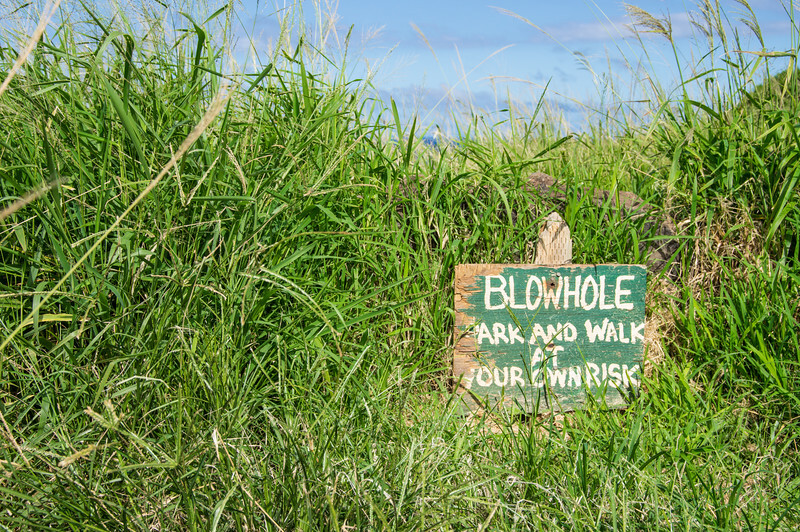 So, there you have it, my friends: a great alternative to the Road to Hana! 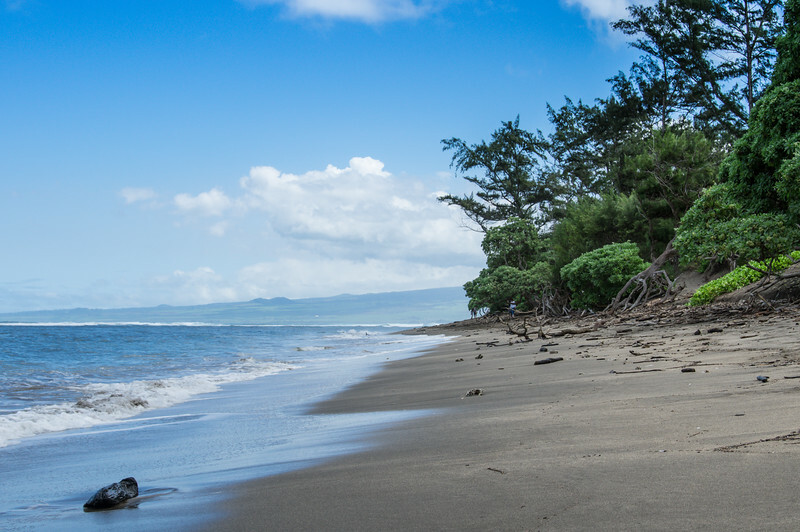 If you're planning your Maui getaway today, then be sure to explore what Home Away has to offer! You can save a ton on accommodations by renting a vacation home instead of opting for a hotel! Want to know more about my Maui adventure? Check out my list of must-see places in Maui. I've given you all the skinny on where to go and which places to avoid! I am so glad you posted about this! After a recent trip through Arizona and Utah, I’ve been obsessed with finding the most scenic drives in the US. I’ll have to add this one to the list! I LOVE scenic drives and road trips! I’m working on a few more posts like this, too. I’d love to check out your posts about AZ and Utah. I’m planning a massive road trip next summer and may be hitting both those states. Share your links!!! Wow, this looks so so beautiful! I love a coastal drive with views. So stunning, I definitely need to go visit Hawaii! It’s so stunning, Marianne! You definitely should! You’re absolutely right about having a confident driver. One who doesn’t mind small curvy roads. It’s difficult driving for sure, but definitely worth it. Soooo worth it! Glad you enjoyed it, too! I traveled to Maui as a child, and loved it. Many, many shaved ice were consumed 🙂 Love your pics! Maui as a child must have been amazing! Thanks for your comment and compliment! Oh wow, this looks stunning! Great post, thanks for sharing. Thanks for the compliment! You’re most welcome! Sounds like an adventure. As a fairly new driver, I know I wouldn’t be able to drive that route, but it looks like beautiful scenery. I would have been nervous myself if I were driving. Luckily my partner is a very, very confident and cautious driver. That also meant I got to snap some great pics! My friend drove the Hana highway this spring and found an app that followed your movements and told you interesting history along the way, and areas where to pull over, etc. I wonder if there is one for this road too? I went to Maui a couple of years ago. I’d really like to back and do more exploring. I don’t think so, Lara. We really wanted to drive Hana but didn’t have enough time. We wanted to explore other areas of the island, too. Next time…. Looks like an amazing road trip! I’ve driven through Oahu and the Big Island, but I’ve yet to get to the other islands. Looks like I’m missing out! I’m dying to get to the Big Island! How was it? This was a really wonderful road trip. We too enjoy these kind of off the beaten journeys which give an opportunity to be close with nature. Off the beaten path is the best!